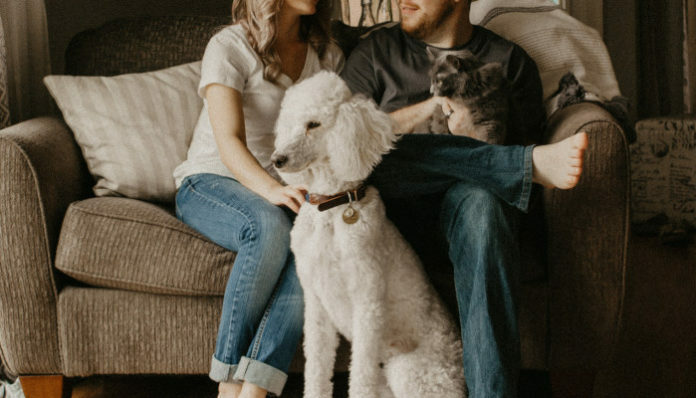 Home Adulting Dogs Vs. Cats: Which Pet Is Better For You? There are three kinds of people in the world: dog people, cat people, and those weird people who don’t like either. Whether cats or dogs make better pets is a constant debate between those old ladies who have 70 cats and those young couples who have a bunch of dogs instead of kids. While most people are pretty stuck in their stance in the battle of dogs versus cats, maybe one of these opinions can change your mind. Dogs are man’s best friend. Cats, on the other hand, are just little moody balls of fur that hiss and purr and scratch. Dogs make much better pets than cats for so many reasons, mainly because of the fact that they are more playful, more empathetic, and more versatile. Trying to train a cat to do simple things is like trying to teach a spider to play ping pong. It’s basically just a waste of time. They have so much attitude that you’ll be lucky if they even stop scraping you when you yell at them. But dogs are easily trained. Just get some treats and look up a few YouTube videos and you’ll have your furry friend sitting and rolling over in no time. You can even teach them more complicated tricks to impress your friends and family. In a study performed by Psychology Today, children between the ages of 3 and 6 preferred dogs over cats. Dogs are generally friendlier, calmer, and better with kids. Kent State University also found that children who are close to their dogs are more attached to their parents and have better relationships with their friends. Children get along with dogs and enjoy their company much more than they can with elusive cats. Cats don’t even play with you. You can play fetch or tug-of-war with a dog or even teach them to catch a Frisbee. All you can do with a cat is dangle a little feather object in front of their face until they try to swat it with their sharp little claws if they don’t scratch you first. According to the American College of Allergy, Asthma and Immunology, cat allergies are twice as common as dog allergies. Getting a dog means you are much less likely to send someone into a sneezing fit when they walk into your house, whereas, if you get a cat, 1 in 7 children will sneeze upon entering your house. In 2017 and 2018, 60.2 million homes owned a pet dog, while only 47.1 million owned a cat. While these numbers don’t prove any point per se, they do still show that in the war between cats and dogs, the canines are clearly winning. As a child, I was a die-hard dog person. However, as a busy college student who felt lonely, cats started to become appealing. Now I can’t imagine my life without America’s favorite lap accessory. What makes cats superior? For starters, they require far less maintenance and care than dogs. Cats literally clean themselves, use their own little bathroom in the house, and can make a bowl of food last for days. They aren’t constantly barking in your face or trying to beg for table scraps. In fact, they spend a fair amount of the day just sleeping. Furthermore, cats are incredibly clever. Dogs are rather dopey most of the time; they will take attention from any human they meet and rarely figure things out on their own. Studies actually show that cats are extremely loyal to their owners and even pick up cues and emotions from their masters. Cats also have science on their side! People who own cats are more likely to have college degrees, less likely to suffer heart attacks, and more likely to get a good night’s sleep when their fluffy feline snuggles up in bed with them. Don’t try to argue that these are all true with dogs because according to these studies, these facts are only true of cat owners. Personally, I love the way cats are constantly curious, permanently purring, and longing to curl up in my lap. Many people tend to agree, too, as places like cat cafes are the newest trend sweeping the country by storm. There’s just something soothing about stroking a friendly feline, hearing their motor run, and watching them kneed to get comfy. Dogs may hold the title of “man’s best friend,” but if you ask me, cats are where it’s really at. Whether you fall on the side of cats or dogs, you probably have strong feelings about your beloved pet. Although this article may not have changed your mind, hopefully, you can now understand what people on the other side of this heated debate think. At the end of the day, we simply hope you have your own furry friend to greet you at the door. Because, after all, pets really make the best kinds of lovers. Written in collaboration with Megan Glosson.